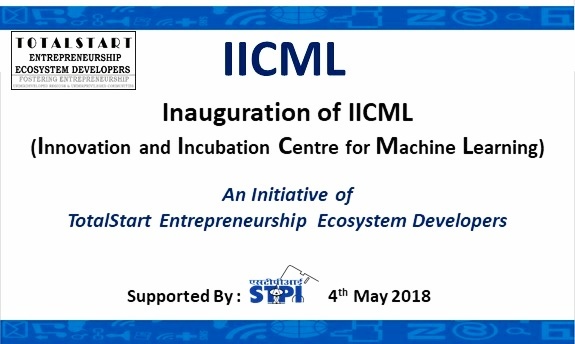 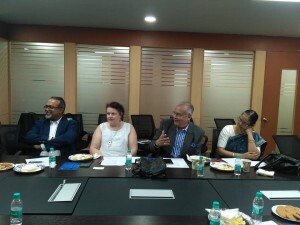 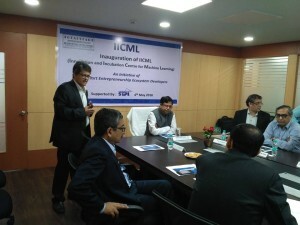 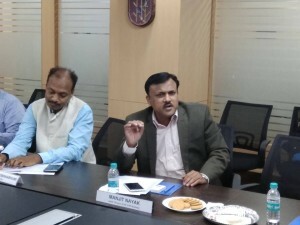 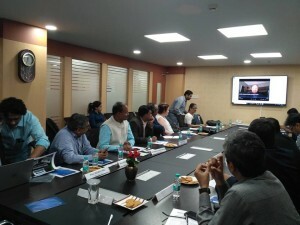 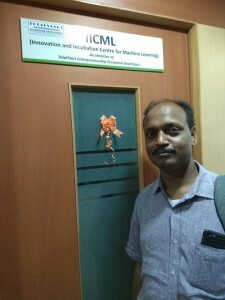 This was the launch of #IICML-Innovation and Incubation Center for Machine Learning – a hard kick-start of TotalStart ‘s 2nd Mission of Catalyzing, Curating and Incubating Deep Tech Innovations from Technology Institutes of Excellence and Govt. 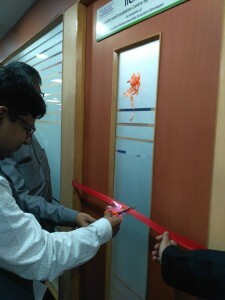 R&D Labs. 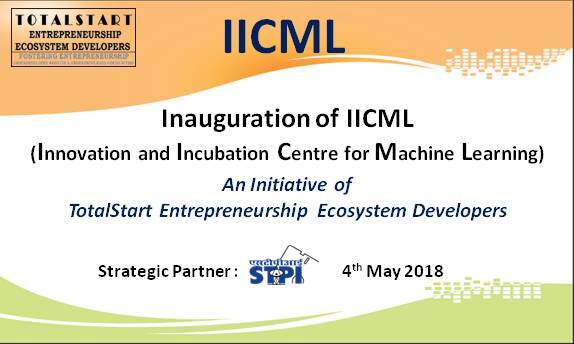 We heartily thank all our honored guests and dignitaries for their kind presence, support and mind-share to understand what we have started and where we are taking it forward. 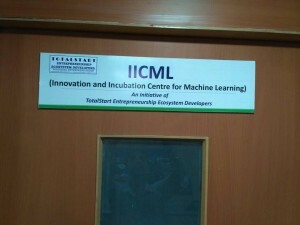 A very long path ahead. 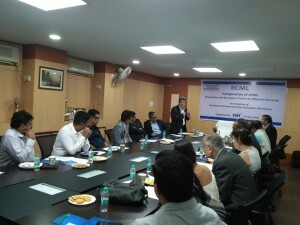 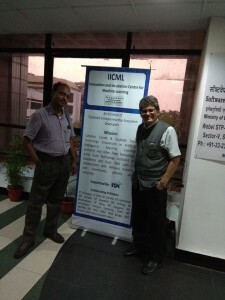 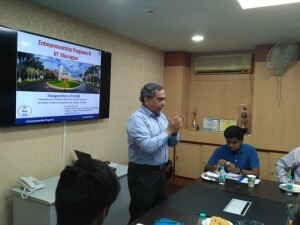 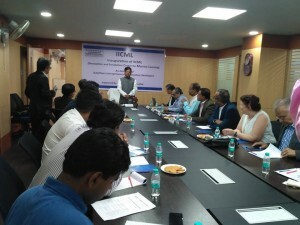 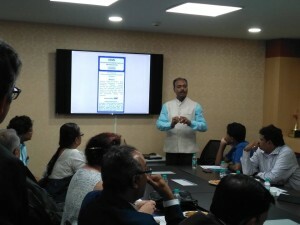 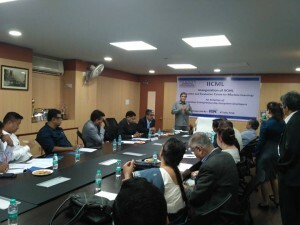 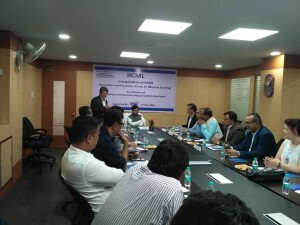 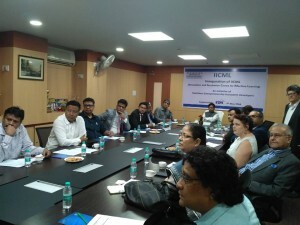 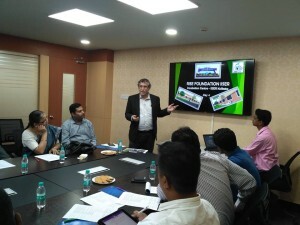 This hard launch of IICML and the knowledge and mind-share workshop event was just the first baby step of the process of catalyzing the ecosystem for Deep Tech Innovations specifically for AI/ML and also in other deep technology domains. 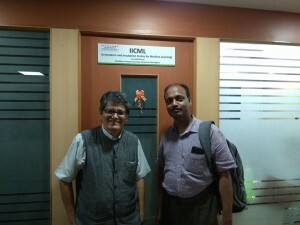 We much appreciate the kind engagement of Mr. Debashis Sen Additional Chief Secretary, IT&E, Govt. 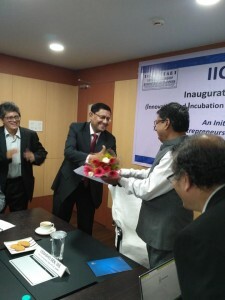 of West Bengal as the Chief Guest in inaugurating the Centre in presence of Prof. Saikat Maitra, Vice Chancellor of WBUT; Prof. Sourav Pal, Director of IISER (along with Prof. Ayan Banerjee from IISER), Prof. Parthapratim Das, Head RMSOEE and Research Park, IIT-Kgp; Prof. Tandra Pal, NIT-Durgapur, Mr. Abraham Stephanos, MD, Tata Steel PDL, Mr. Ambarish Dasgupta, Sr. Partner-Intueri, Mr. Abhishek Rungta, CEO-Indusnet; Mr. Robert Sharma, IT Dept., Govt. 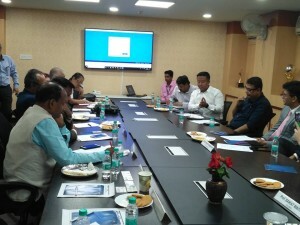 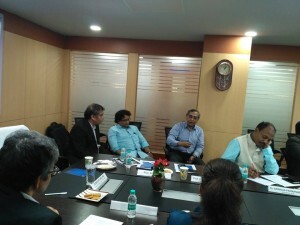 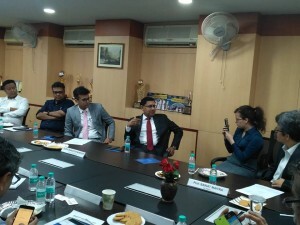 of Manipur and TotalStart MentorBoard and Advisory Board Members: Mr. Sudip Bandyopadhyay, Chairman Indi-trade Group (Director TotalStart), Mr. Aniruddha Lahiri, CEO-TES (Past President – TCG Group and Bengal Chamber), Mr. Jaideep Chakrabarti, CEO-Future Netwings, Mrs. Cornelia Heinen Director TotalStart and TSFE – The School For Entrepreneurs. 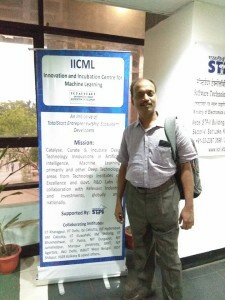 We particularly thank Mr. Manjit Nayak, Head STPI Kolkata for all his and his team’s kind support at the lunch event as a supporting partner of #IICML. 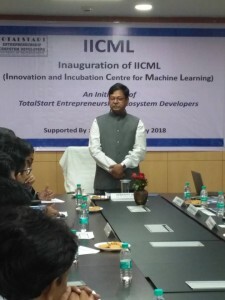 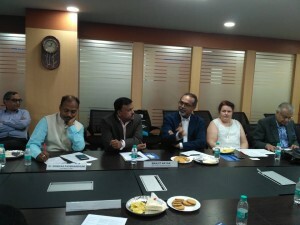 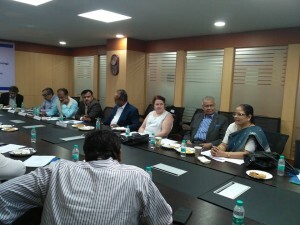 A big thank you to all honoured guests and dignitaries again – From the #IICML Chief Mentor & #IICML Core Catalyzing Board Member – Dr. Srinivas Padmanabhuni (Past president ACM India), Prof. Randy Goebel, Founder, Alberta Machine Intelligence Institute Canada, Prof. CS, University of Alberta, (#IICML Advisory and Governance Board Member) and me as #IICML Chief Catalyst for this humble but sure footed step we took today towards TotalStart ‘s 2nd. 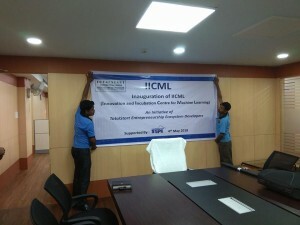 Mission.